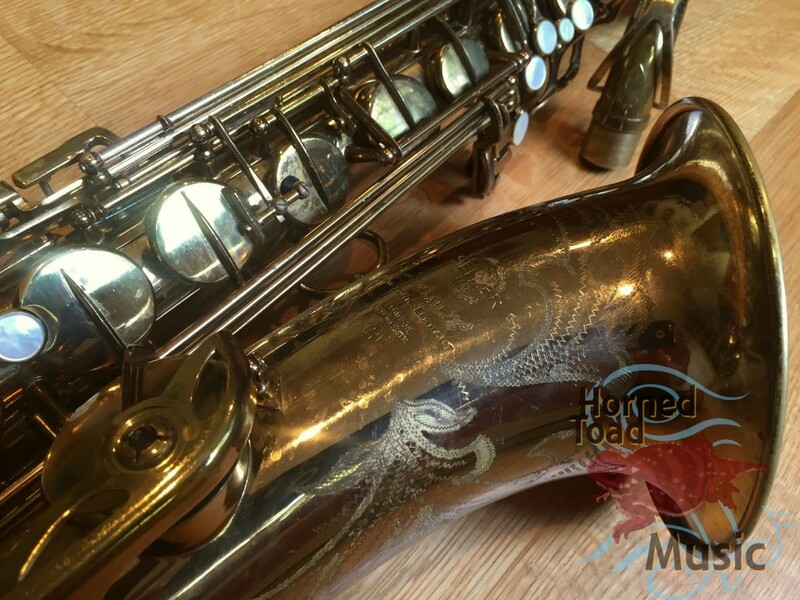 Tenor MK VI 1964, original US lacquer in ready-to-gig condition. 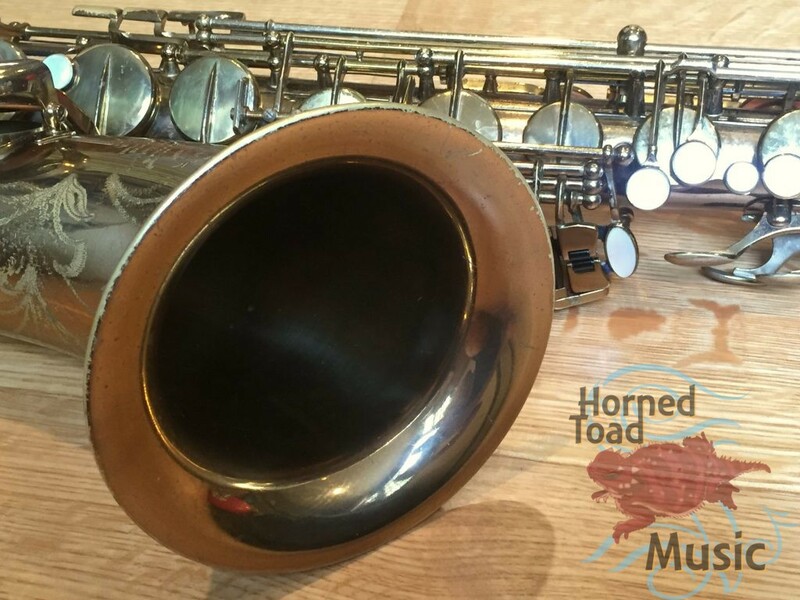 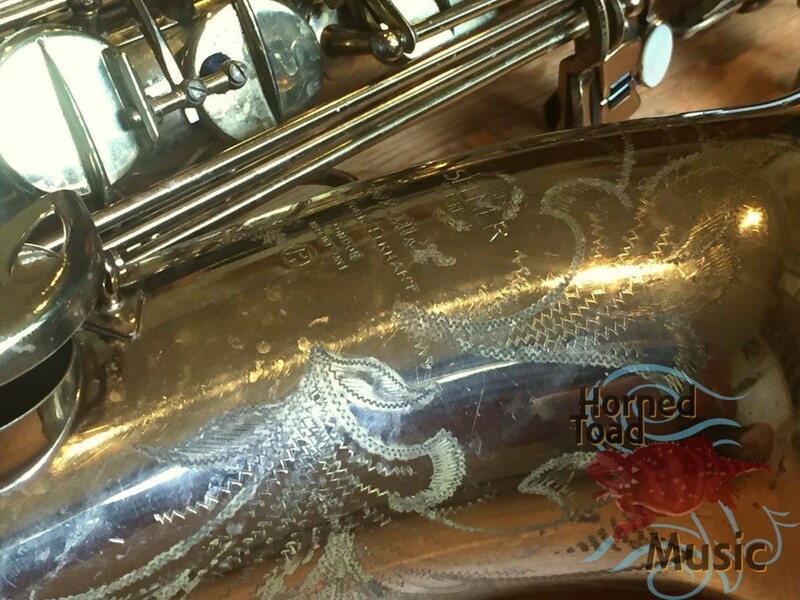 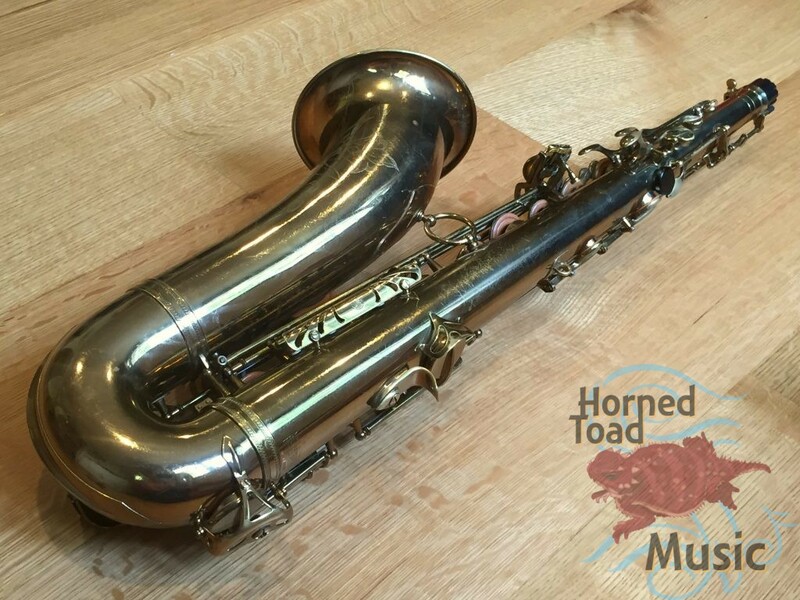 This is a horn that came in on trade with a current decent pad setup and is a blast to play. 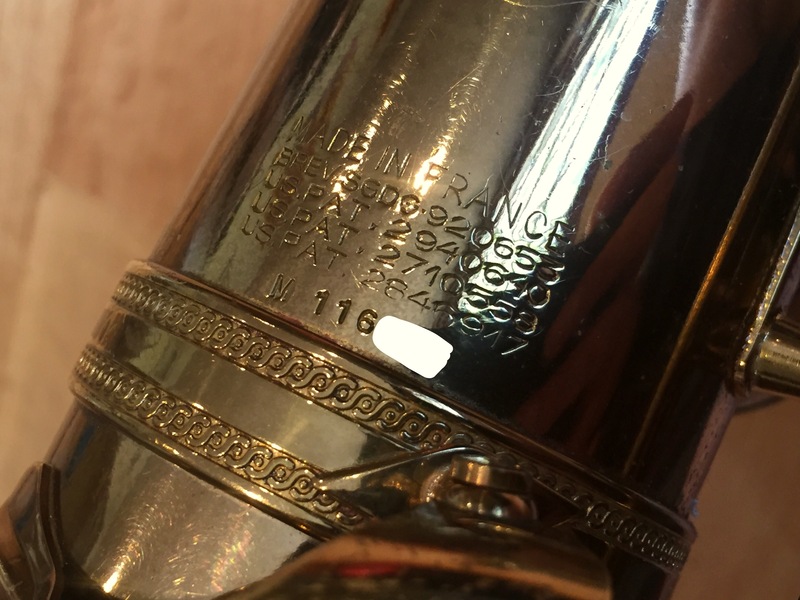 The neck is also 116xxx but about 200#’s different than the horn. 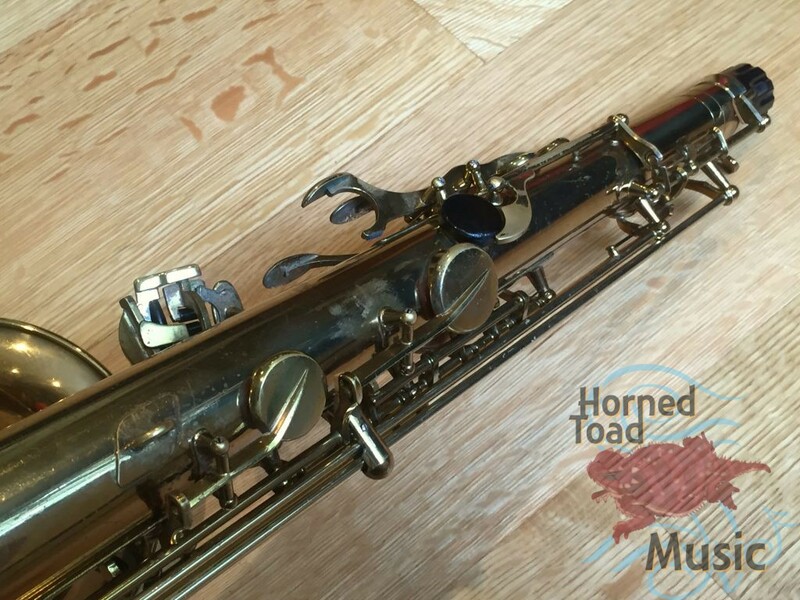 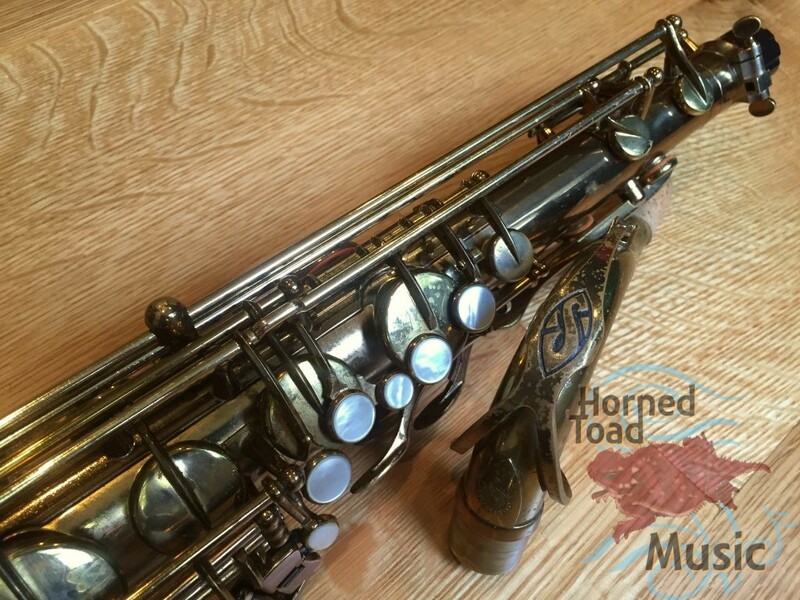 I cannot say why the number is so close but does not match but it is a very good neck and a perfect match for this horn particularly and this model/year as well. 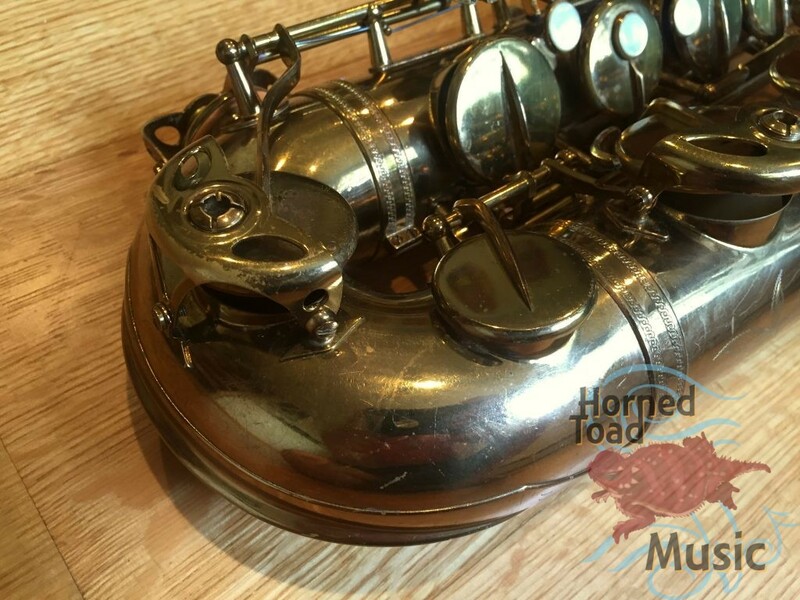 This horn is very loud, quite a projector, with a very lush and strong sound. It has plenty of edge to the sound but the core is dark making a nice balanced tone. 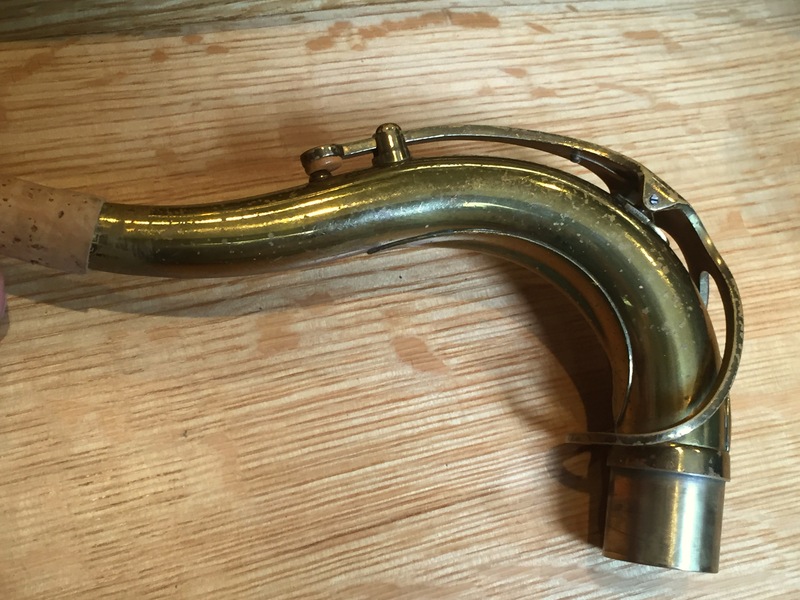 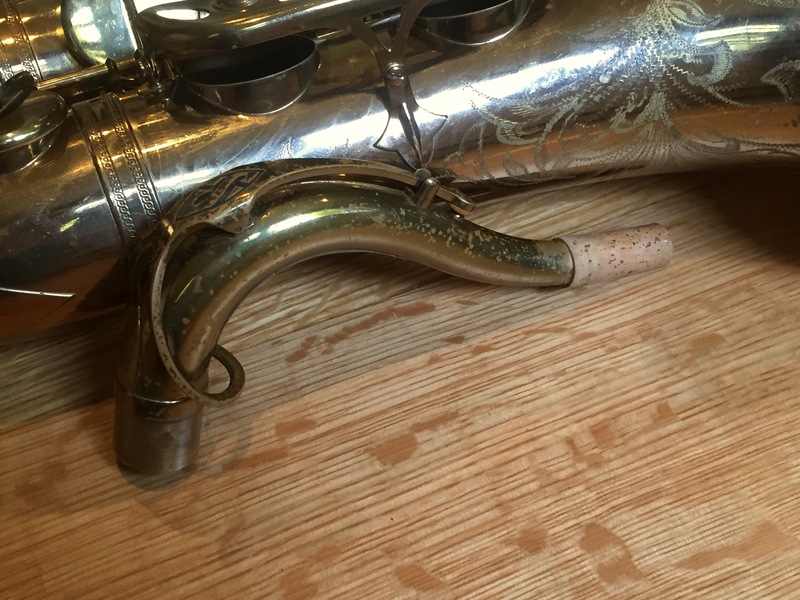 It is a very free blowing horn with a very flexible tone. 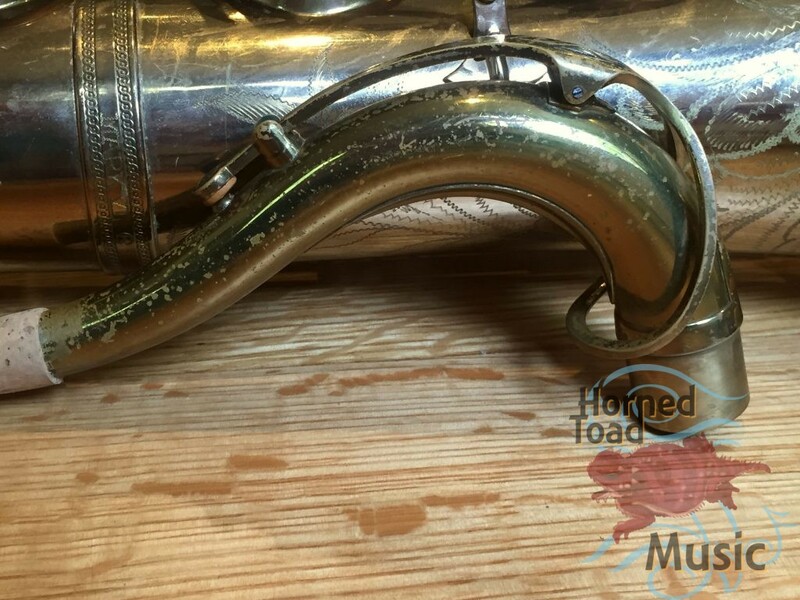 This horn has the optional high F# key, which I happen to like and the resonance of this horn disproves any myth about that difference. 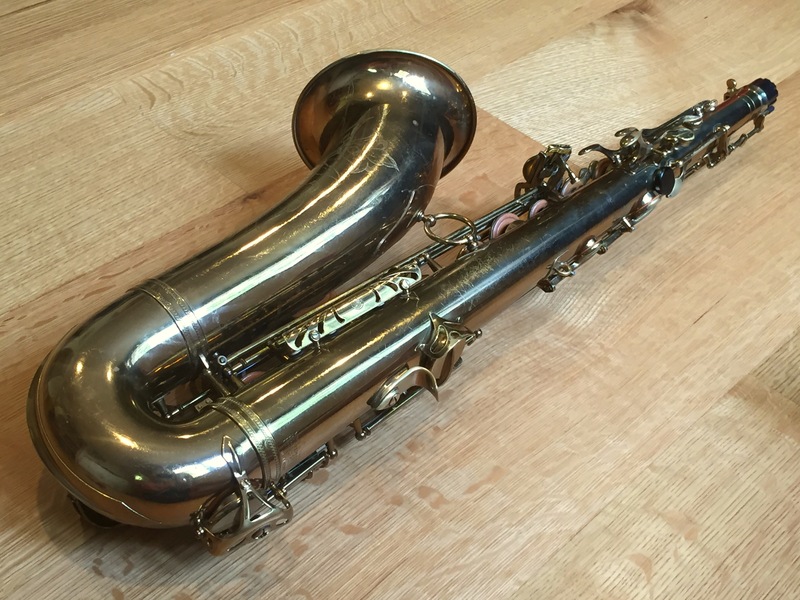 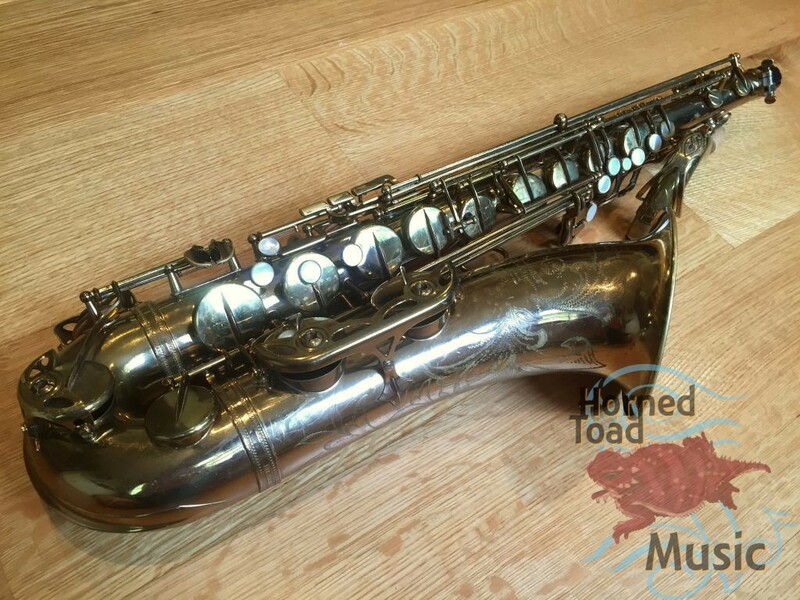 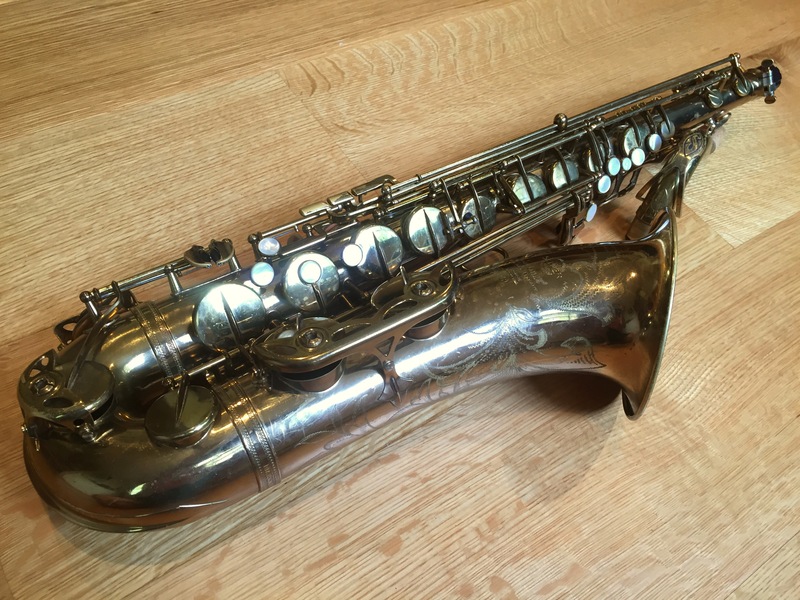 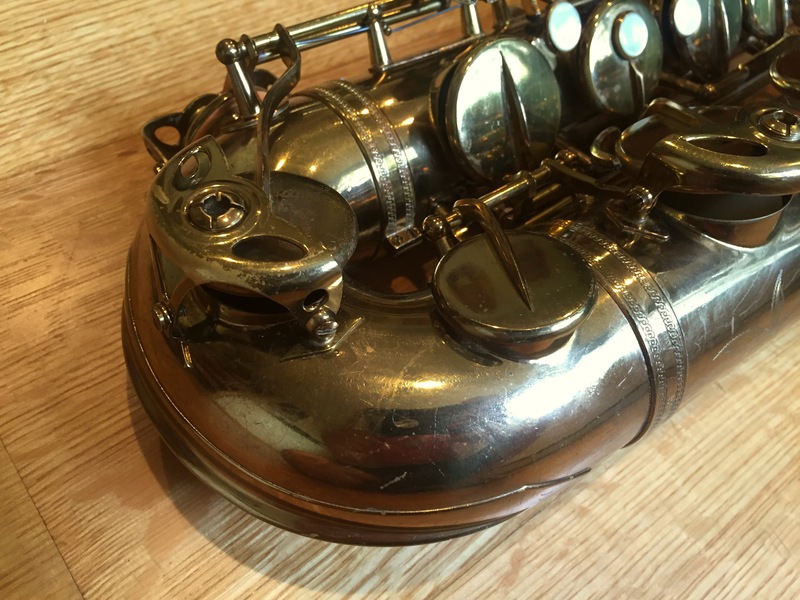 I don’t know any Selmer fans who would not enjoy playing this one. 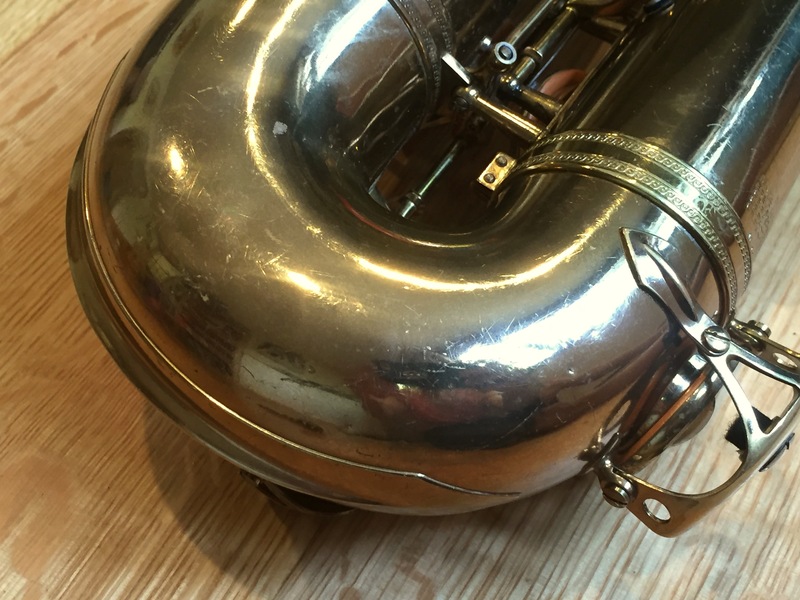 It’s ready gig as is, won’t need any urgent attention for a while I think. 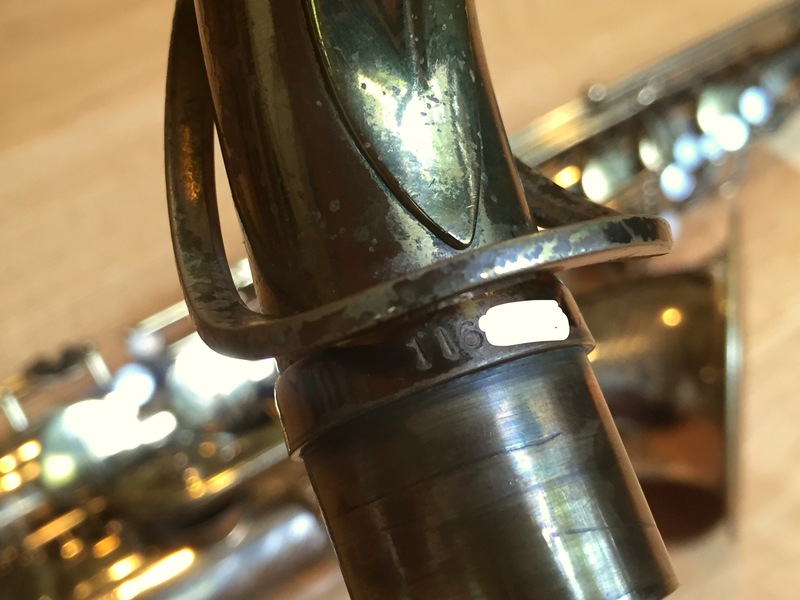 It has some cosmetic blemishes, old ding/dent repairs but nothing serious for a player. 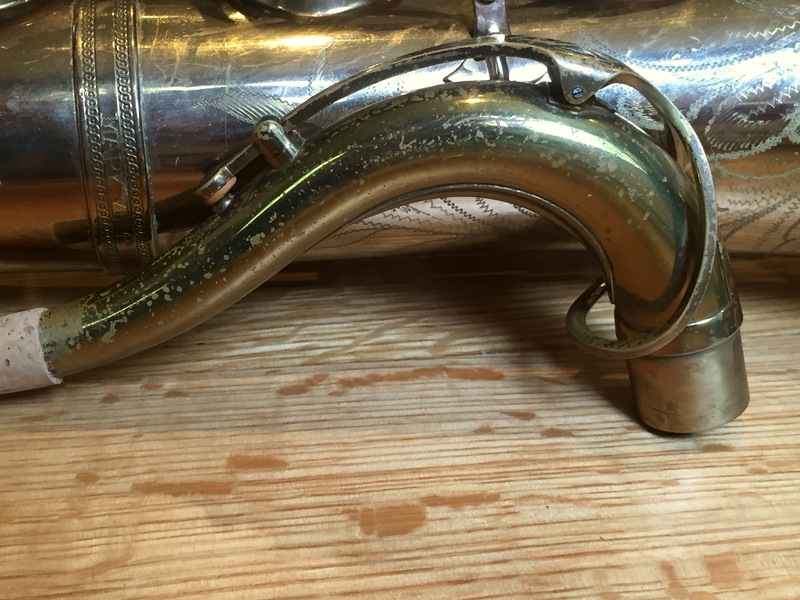 Excellent horn!